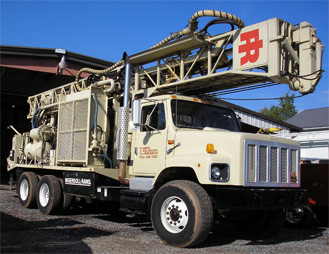 “My father started this business in 1980 when we needed a well for our family’s home. Being a jack-of-all-trades, instead of hiring someone to do the job, he found an old drill rig that had been sitting for years. (We even had to cut the briars and weeds down to get to it!) After some repairs and a lot of hard work, he had it going. After drilling a well for our home, he started installing wells for neighbors and friends. Soon it was a full-time business. After taking over the business in 1995, I replaced the old equipment with new top-quality equipment. Today my staff and I serve the residents of the Piedmont and Western North Carolina with knowledge, integrity, and good old-fashioned hard work. From drilling a new well for your home or cabin, or diagnosing problems with your exist well or pump system, give me a call anytime, day or evening! We look forward to serving you.